#525 – Student Story: Matt Some days, parenting feels like an endless game of tug-of-war—and neither side is willing to relent! So how should parents respond when teens start fighting for control? 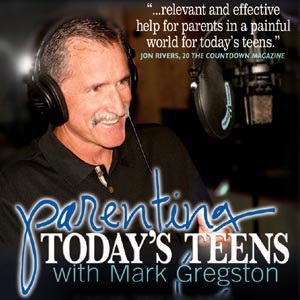 This weekend on Parenting Today’s Teens, Mark Gregston helps parents end the battle of wills and strategically relinquish control to their teens. The post WEEKEND: When Teens and Parents Battle Over Control appeared first on Parenting Today's Teens. The post A Big Mistake appeared first on Parenting Today's Teens. The post Take a Break appeared first on Parenting Today's Teens. The post Connection Over Perfection appeared first on Parenting Today's Teens. #524 – Student Story: N/A These days, everyone has an opinion to voice. But few people are willing to listen! This weekend on Parenting Today’s Teens, Mark Gregston teaches parents the art of active listening. It’s a helpful lesson on developing better communication skills—and ultimately, a better relationship with your teen. The post WEEKEND: The Importance of Listening appeared first on Parenting Today's Teens. The post Fruit Salad appeared first on Parenting Today's Teens. The post The Problem Kids appeared first on Parenting Today's Teens. The post Cause for Celebration appeared first on Parenting Today's Teens. The post Relationship vs. Dictatorship appeared first on Parenting Today's Teens. The post Looking in a Mirror appeared first on Parenting Today's Teens.